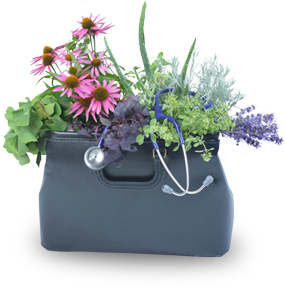 The Boucher Institute of Naturopathic Medicine offers first class naturopathic training for the doctors of tomorrow. Our personalized education, diverse teaching clinic, and highly trained doctors contribute to a remarkable learning environment within a community of experts culminating in the Doctor of Naturopathic Medicine (ND) designation. The Boucher Institute is located in the heart of downtown New Westminster, British Columbia. With the campus located steps from the Columbia skytrain station, Boucher is a 30 minute ride from downtown Vancouver. Boucher is one of only two naturopathic medical schools accredited by the US Department of Education accredited Council on Naturopathic Medical Education (CNME) in Canada, a professional accrediting agency for naturopathic medicine programs. Along with our commitment to offering students the highest standard of education, we also strive to preserve a community that is founded on the principles of inclusion, integrity, safety, respect, academic freedom, self-responsibility, innovation and sustainability. We endeavour to facilitate a community in which each member feels valued and supported on their journey of self-discovery and academic exploration. Our academic philosophy strives to incorporate principles of research based learning theory, conventional academic wisdom, clinical experience and creative problem-solving. Through mentorship, students gain insight into new skills and knowledge, and familiarize themselves with the naturopathic professional landscape. The Boucher Institute is also home to the quickly growing Boucher Naturopathic Medical Clinic. Faculty and students provide first-rate natural health care for the community and see approximately 1,000 patients per month. The clinic equips our interns with invaluable hands-on experience. We also proudly partner with external community clinics, enabling students to gain experience treating different patient populations with a range of treatment modalities. Boucher is named for the late Dr. Joseph Boucher – one of the founders of our sister school the National University of Naturopathic Medicine (NUNM) in Portland, Oregon. He was a pioneer of the profession, and a champion of establishing a naturopathic medical tradition here in BC. The Boucher Institute welcomed its founding class of 15 students in January, 2000. By 2005, the Boucher Naturopathic Medical Clinic had opened its doors to treat people in the community and while also serving as a practical learning centre for Boucher’s student body. Founded on the principles of inclusion, integration, integrity, respect, academic freedom, self-responsibility and innovation, the Boucher Institute educates a different kind of physician; one who commits to the ongoing practice of self-reflection and personal growth, who has a passionate belief in the efficacy of Naturopathic Medicine, and who harbours a commitment to leading our world toward sustainable health. Research is a central component of our mission at the Boucher Institute. Inspired and guided by the principles of evidence-based medicine and evidence-informed practice, our students are trained to evaluate and integrate the highest-quality academic and clinical studies into their treatment protocols. The Board of Governors and the BINM Policy Review Committee have responsibility for Institute policies. The policies that are currently in effect and have been approved by the Boucher Institute’s Board of Governors are found on this page. Get to know our dedicated staff and faculty and find out why Boucher is a great place to study and work. The Boucher Institute of Naturopathic Medicine Program is accredited by the Council on Naturopathic Medical Education (CNME), a professional accrediting agency for naturopathic medicine programs. For information contact: CNME, PO Box 178, Great Barrington, MA 01230, (413) 528-8877. As a professional accrediting agency, the CNME ensures the highest quality of naturopathic medical education is delivered through participating naturopathic medical programs. Accreditation enables Boucher Institute students to sit the Naturopathic Physicians Licensing Examinations (NPLEX), offered by the North American Board of Naturopathic Examiners (NABNE). Passing the NPLEX is required for licensure in most regulated jurisdictions, including British Columbia, Manitoba, Ontario and those states in the U.S. that regulate the practice of Naturopathic Medicine. The Boucher Institute is additionally accredited in accordance with the Private Training Institutions Branch (PTIB) of British Columbia. Boucher Institute students are thereby eligible to apply to provincial and federal Student Assistance Programs. Province of BC Education Quality Assurance (EQA) - BINM is EQA designated. British Columbia public and private post secondary institutions that have met or exceeded provincial government recognized quality standards are eligible for EQA status.